LOUISVILLE, Ky. (WDRB) – Kentucky social workers are failing to have courts properly scrutinize and approve the drastic step of taking some children from their homes, relying instead on blank removal orders with pre-signed judges’ signatures, which is illegal according to several attorneys and judges. The allegations, which involve cases of purported parental abuse or neglect, have prompted numerous complaints to judges and state officials. They revolve specifically around the state Cabinet for Health and Family Services workers using pre-signed emergency custody court orders to remove children on weekends and after the courthouse has closed for the day. While there is debate over whether the actions violate Kentucky law, state and local officials acknowledged to WDRB News that the practices aren’t ideal – and, on Friday, the cabinet abolished them. Workers now must send an order to the judge to see and electronically sign. Previously, copies of the blank orders with signatures from Jefferson District Court judges were left at the Home of the Innocents on Market Street and filled in by cabinet workers – giving them the power to remove children without a judge reviewing the allegations written on the order or filling out other necessary documentation. In some cases, attorneys and some judges claim cabinet workers have used blank copies of the pre-signed child removal orders to take kids from their parents, only later filling in the allegations and other items on the order. The judges and attorneys for the parents don’t see the orders until a hearing three days after the child has been removed. At least one local district judge, Julie Kaelin, said she has refused to follow the practice, saying it is violating the law. Another district judge questioned the legality of the pre-signed orders and confirmed that “blank orders” with only a photocopied signature have been used to remove children. In addition, cabinet workers have allegedly called judges after hours and told them about the need to remove one child from a home, but then used multiple copies of pre-signed emergency custody orders to take more than one juvenile. However, she denied that cabinet workers or judges are violating the law by using the pre-signed orders and phoning on-call judges to get authorization to remove a child. 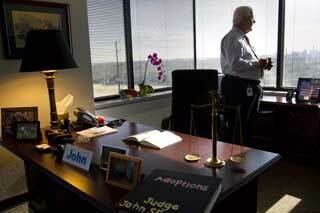 “Jefferson County judges are in full compliance with the law and full compliance with the rules,” Haynie said. She argues that when the law says no child shall be removed on a “verbal order,” it doesn’t mean a social worker has to talk with a judge in person. High-profile defense attorney Thomas Clay said he is currently consulting with a family that had three children removed from a home – including a 6-year-old and 3-year-old — even though a cabinet worker only mentioned to a judge the need to remove one child. 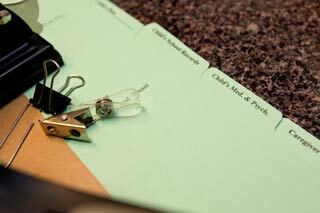 The cabinet worker allegedly filled out three pre-signed forms to remove all of the children. In an email, Hogan said it has been “suggested” that stamps or photocopies of judges’ signatures may be “inadequate” for the emergency custody orders and the system is being changed. As of March 15, Hogan said, the judges, cabinet and state implemented a new method to allow workers to send an order to the judge to see and electronically sign. Asked if the cabinet has been breaking the law the way the process has been working, Hogan said “NO” in an email. Hogan did not respond to a follow-up question about allegations of workers using blank pre-signed orders or taking multiple children without judicial authorization. Haynie said there are multiple safeguards in place to ensure the process of removing a child after court hours is done correctly. She said a Home of the Innocents employee is “present with the law enforcement officer and/or cabinet worker” when the call is made to an on-call judge “and most importantly we tape record everything” so attorneys for the parents can go back and listen to what was said and whether there were any issues with what information was presented to the judge. Some judges and attorneys have compared the practice to a police officer filling out a search warrant that had been pre-signed by a judge. Clay said judges are required to review the cabinet worker’s affidavit and make several specific findings and check boxes on the form before signing an order to remove a child, including finding there is an immediate danger, that reasonable efforts have been made to not remove the child, and there is no less restrictive alternative, given how traumatic removal is. But the on-call district judges are often only hearing a brief synopsis of the issue before approving the order. Former judge and current Pike County Attorney Howard Keith Hall agrees with the comparison of a police officer using a pre-signed search warrant. In 1994, when Hall was a Pike County District Court judge, he was publicly reprimanded by the state Judicial Retirement and Removal Commission for pre-signing a warrant for a sheriff’s deputy. Hall had talked to the deputy on the phone while driving to Lexington and approved the warrant, leaving behind a pre-signed order. The commission ruled that even though Hall knew the details of the search warrant, allowing the use of a pre-signed order violated state Supreme Court rules. Hall was charged with judicial misconduct and the commission would have suspended him for 30 days had he not retired, according to the order. When told of the situation with the cabinet and judges in Louisville, Hall said it was the same sort of issue. 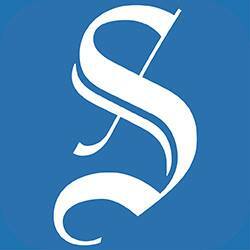 Haynie, however, said the comparison with law enforcement search warrants is flawed. She again pointed out that the calls between social workers and the on-call judges are recorded. Attorney Faulkner said that recording phone calls is a good practice, but appointed attorneys for parents in family court don’t get to see the orders until there is a hearing three days later, and by then children already may have suffered traumatic damage. Another concern is that district court judges are not familiar with the process of removing kids and don’t have the necessary expertise, as it is a family court issue. To remove a child during the day, a cabinet appears in front of a family court judge and swears to tell the truth. The judge then reviews the written affidavit of the worker that spells out the alleged abuse and reason for removal of a child or multiple kids and signs the orders if the request for removal is granted. If removal is ordered, the judge checks through a series of boxes indicating reasonable efforts were made to prevent the child’s removal, the child is in imminent danger and other necessary questions. But after the court closes at 4:30 and on weekends, the responsibility to approve the emergency orders to remove children falls to an on-call district court judge. Social workers call judges from the Home of the Innocents and, depending on which judge is on call, picks a pre-signed form with that judge’s signature and fills it in. She said district judges don’t typically interact with the cabinet or know the workers like a family court judge. Chief Family Court Judge Tara Haggerty did not return a phone message seeking comment. Charles Gardner Geyh, who teaches judicial conduct at Indiana University’s Maurer School of Law said in an interview that while he is unsure of the legality of what has occurred in Louisville, there is certainly a “perception problem” with pre-signed orders. “There is a perception problem with judges signing off on things and then later confirming them after the fact,” he said. “The concern I have is multiplied if there are aspects to the forms that are supposed to be completed by the judge. absolutely horrible. prayers these children are reunited with their parents and anyone knowingly involved in this needs to be removed from harming any child or mother again. From FB: DCFS/CFS workers accused of lying in court- disgusting! professional licensed case workers abuse your kids, remove them for no reason and then claim “absolute immunity” or “limited immunity” this this has to end.! 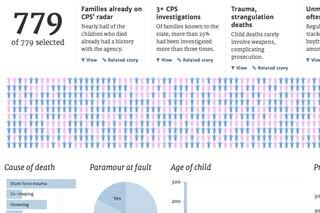 CPS officials say such violations are rare, but they have no way to track them. Wrongdoing can stem from intense pressure to close cases quickly. CPS discipline for misconduct can be inconsistent. When Child Protective Services received a complaint that a Harris County father had choked his teenage daughter, caseworker Michelle Robinson said she hurried to the house, conducted a thorough investigation, determined there was no merit to the allegations and closed the case. Except she didn’t. 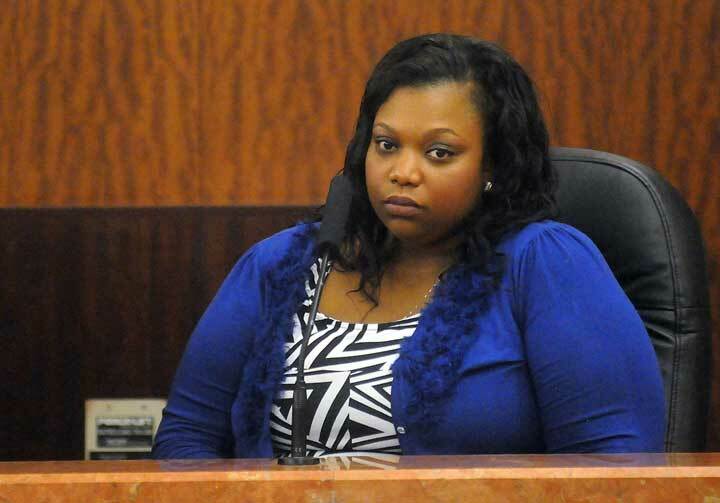 In October, a Harris County jury convicted Robinson for falsifying CPS records, concluding that she’d lied when she said she’d interviewed key sources in the case and that she left the young girl in danger. Robinson was sentenced to a year of probation and ordered to pay a $300 fine. It wasn’t an isolated case. Since 2009, at least 50 CPS workers have been caught lying to prosecutors, ignoring court orders, falsifying state records or obstructing law enforcement investigations, according to an American-Statesman review of state and court documents. At least four former CPS employees are currently facing criminal charges for their alleged misconduct. State officials insist those cases are rare. The employees accused of misconduct found by the Statesman represent a fraction of the 3,400 investigators and foster care workers in the agency. But the agency cannot definitively say how often it happens since it does not comprehensively track the number of people who were fired for such offenses. It also doesn’t count the number of CPS employees who were punished, but not fired, for such misconduct, because that information is stored only in employees’ personnel files, said Patrick Crimmins, spokesman for the Department of Family and Protective Services. Officials do have some sense of the scope of the problem because they receive reports of violations that have been confirmed by the Health and Human Services Commission’s Office of Inspector General, the commission’s in-house watchdog. But those numbers don’t include misconduct that CPS handles internally. Through a series of open records requests, the American-Statesman identified numerous employees accused of wrongdoing by CPS or the inspector general who were referred to local law enforcement agencies. The majority of those referrals were for lying on government documents to cover up sloppy casework, with caseworkers often saying they had visited children they had not. In other cases, employees failed to cooperate with law enforcement, lied on their travel reimbursement forms or refused to comply with a judge’s orders. I think I’ve been very clear. In cases where you falsify documents, that’s a firing offense. State officials say they take swift action when they find such misconduct. John Specia, commissioner of the Department of Family and Protective Services, said lying by caseworkers is never acceptable. Yet consequences doled out by CPS are inconsistent. Some employees have been fired, but others were not punished at all, the paper’s analysis showed. Additionally, some supervisors who meted out discipline to troubled workers were later accused of their own misconduct, which some child welfare advocates said contributes to poor morale on the front lines. Former CPS investigator Dimple Patel, now a research associate at advocacy group TexProtects, says she saw caseworkers falsify documents “a great deal” during her time at the agency. When Specia arrived in 2012, the commissioner made it very clear that he has a zero tolerance policy for such behavior, and indeed it seemed to happen less frequently, Patel said. But records show it still happens. While each case is different, one clear theme emerges in the personnel and investigation records: An unmanageable workload and intense pressure to close cases compels workers to cut corners. 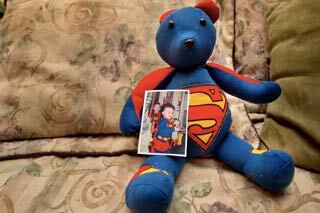 In 2009, Texas’ Legislature ordered Child Protective Services to publicly record every abuse- and neglect-related death in the state – but those reports have not been thoroughly analyzed to help identify patterns to prevent future deaths until now. Caseworkers obviously don’t enter the profession with the intent to lie about the safety of children, said Randy Burton with Justice for Children. But pressure to close investigations “come hell or high water” has plagued caseworkers for years and can lead to wrongdoing, he said. The consequences can be devastating. In April 2013, a Corsicana infant was seriously injured by his parents after a CPS investigator failed to check out a neglect allegation against the family but said that she had. “When CPS investigators don’t investigate those cases and lie about it in their reports, not only are they breaking the law but they are putting the children they are supposed to protect in danger,” said Harris County Assistant District Attorney Adam Muldrow, who prosecuted Robinson. Neither Robinson nor her attorney could be reached for comment. Allegations of wrongdoing come to the agency in a number of ways. Officials can receive complaints from prosecutors, defense attorneys, teachers or parents. CPS supervisors also have discovered misdeeds through mistakes in travel reimbursement forms, which raised questions about whether caseworkers actually saw the children. From there, the agency scrutinizes the allegations. It also sends complaints to the Office of Inspector General, which launches its own investigation. If evidence of potential criminal wrongdoing is discovered, the case is referred to the local district attorney’s office. While the inspector general’s work hasn’t resulted in a slew of arrests, CPS sometimes relies upon those investigations as a justification to punish or fire its employees. In one case, the office determined that a CPS investigator was working as a small-town police chief on state time. CPS fired the investigator. Some regional offices have been accused of misdeeds multiple times. In Smith County, which includes Tyler, prosecutor Tiffani Wickel has reported at least six employees for wrongdoing in the past two years. In one case, three workers were accused of forging a signature on a removal affidavit to the court because the investigator said she was out of the office when it was due. The investigator quit, and two other employees were disciplined. Wickel did not respond to questions about whether the women were charged and prosecuted for their alleged misconduct. 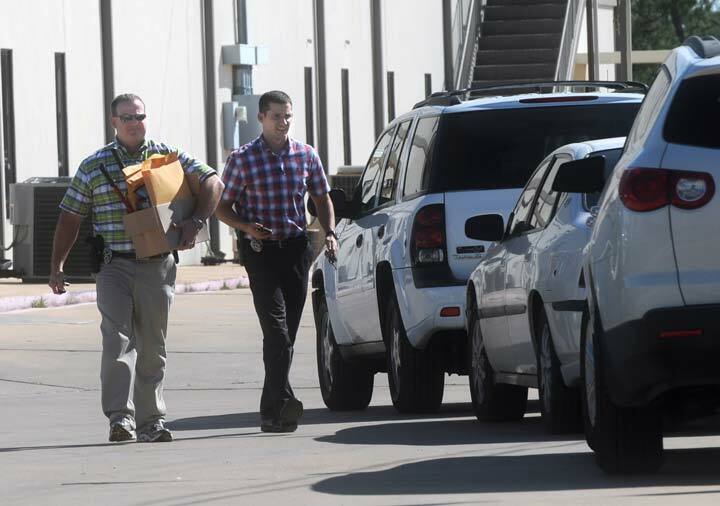 In another case, three Abilene-area CPS workers were accused of obstructing a criminal investigation into the 2012 death of Tamryn Klapheke, who starved to death days after a CPS caseworker closed the case without visiting the child. In that situation, former CPS regional director Bit Whitaker signed off on disciplinary action against a supervisor accused of subpar work involving the child. Whitaker, however, was later accused of wrongdoing in the same case. She was put on paid leave and allowed to retire while the Abilene Police Department investigated allegations that she concealed documents and medical records involving Tamryn and her sisters. In July, a Taylor County grand jury indicted Whitaker on charges of tampering with physical evidence, a third-degree felony. Sgt. Lynn Beard with the Abilene Police Department says more indictments could come against other CPS employees. Bit Whitaker was indicted on charges of tampering with physical evidence. In 2013, three CPS workers in Greenville — Laura Ard, Natalie Ausbie-Reynolds and Rebekah Thonginh-Ross — were criminally charged with tampering with evidence in the death of teenager Alicia Moore, who police say was murdered by her uncle after CPS had been warned the girl was in danger. Prosecutors say the three workers falsified documents to justify closing the case without conducting a thorough investigation. Thonginh-Ross told officials she did it because she was under pressure to close cases and that she was only following Ard’s orders, according to a report by an Office of Inspector General investigator. Ard then blamed her supervisor for issuing an edict to reduce the office’s backlog of investigations, the document states. Contact Andrea Ball at 512-912-2506. 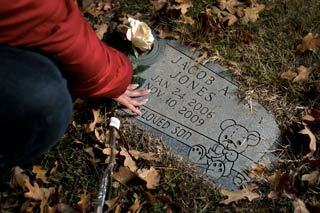 At least 86 Texas children died after being abused or neglected by non-parent relatives over five years. See every child fatality report and many of the important data points that were used in this project. Those data points and the associated analysis represents the only comprehensive review of the reports since the state was required in 2009 by lawmakers to generate them. From FB; woman commits suicide during arrest of bf–what happened? CHESAPEAKE, Va. (WAVY) — A 19-year-old woman whose hands were cuffed behind her back when she committed suicide during a traffic stop in Chesapeake died of a gunshot wound through the mouth, according to the Office of the Chief Medical Examiner. Sarah Wilson committed suicide on July 25, 2018, during a traffic stop near the intersection of Berkley Avenue and Wilson Road, according to the Chesapeake Police Department. She was the passenger of a 1996 Lexus driven by her boyfriend, 27-year-old Holden Medlin. The couple were under the surveillance of two CPD officers — one assigned to uniform patrol, and the other to vice narcotics — when they were stopped around 4:24 p.m.
During the stop, the officers approached Wilson and Medlin separately. While one officer handcuffed Wilson with her hands behind her back, the other tried to detain Medlin, CPD Officer Leo Kosinski told WAVY in August. Medlin resisted arrest, becoming combative and trying to flee the scene. That’s when the officer who handcuffed Wilson left her outside of the car’s passenger side and went to assist in Medlin’s arrest, which involved using a Taser to subdue him, according to police. Kosinski said in August that Wilson was handcuffed with her arms behind her back when she got the gun out of the Lexus, “contorted” her body and shot herself in the head. The CPD launched an internal investigation into Wilson’s suicide in July. Kosinski confirmed that the department has since concluded that investigation, but declined to comment on its outcome. Medlin was arrested in connection to the traffic stop after he swallowed a “golf-ball” sized-bag with an unknown substance in it. Police searched the car and found 11 oxycodone, a syringe, drug paraphernalia, a rifle, and several boxes of ammunition, according to court documents. He was charged with possession of oxycodone, possession of suboxone, possession of paraphernalia, possession of a firearm with a schedule I or II drug, fleeing from a law enforcement officer, and being a felon in possession of a firearm. Those charges were certified to a grand jury on Tuesday. Why aren’t the courts doing something about the behavior of the judges? We need more oversight. A Twitter poll carried out by this site has found that 91% of parents going through family law proceedings have been bullied by judges during their cases. The poll was created in conjunction with our campaign to ensure that families are treated fairly and with respect during the life of their cases. Since launching the campaign we have received hundreds of messages from families saying they were abused by judges during their cases and offering details of their experiences. The shock revelation comes after barristers complained last month that they were being bullied by judges during court hearings. The Bar Council immediately acknowledged the problem and issued guidance offering lawyers protectionsagainst bullying by judges in court. Researching Reform is now calling on the President of the Family Division to do the same for children, parents and families in child welfare cases. Our call follows a ruling by the Court of Appeal in February, which found a judge guilty of bullying a mother into accepting care orders for her children. 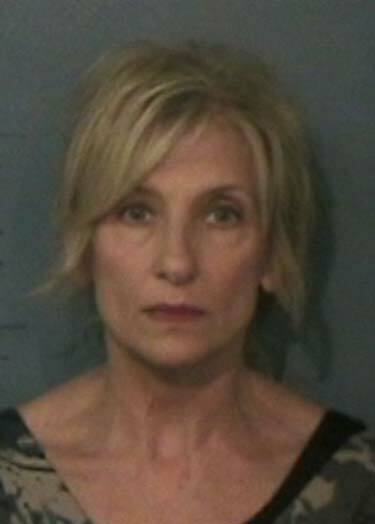 The orders were set aside, however the judge did not face any disciplinary action for her conduct. Complaining about being bullied by a judge is almost impossible for parents and families going through family court proceedings. The Judicial Conduct Investigations Office (JCIO) has been set up for complaints about the personal conduct of judicial office holders, however it does not accept all complaints about conduct which amounts to bullying. While the JCIO can look into the use of racist, sexist or offensive language; falling asleep in court; social media abuse and incidents where judges misuse their status for personal gain, the list does not include a clearly defined set of behaviours for bullying. Comments designed to embarrass or humiliate. Parents and family members described several types of bullying by family court judges. We’ve added some instances of bullying below, but a fuller list can be viewed here. Azithromycin, a commonly-prescribed antibiotic, may trigger a potentially deadly irregular heart rhythm for some patients, the Food and Drug Administration (FDA) warned Tuesday. The antibiotic that’s sold as Zithromax, Zmax or sometimes referred to as a “Z-Pack” is prescribed to treat bacterial infections such as bronchitis, pneumonia, or ear infections. The FDA is warning the public that the pills can cause abnormal changes in the heart’s electrical activity that may lead to a fatal heart rhythm. Not everyone is at risk. Patients with known risk factors such as existing QT interval prolongation, low blood levels of potassium or magnesium, a slower than normal heart rate, or those who use certain drugs to treat abnormal heart rhythms, or arrhythmias face the greatest risk. “Health care professionals should consider the risk of fatal heart rhythms with azithromycin when considering treatment options for patients who are already at risk for cardiovascular events,” the FDA said in its March 12th update. The new guidance was prompted by a May 2012 study and another study by the antibiotic’s manufacturer, Pfizer, that looked at risks to electrical activity of the heart in azithromycin-takers. Last May, a New England Journal of Medicine study paid for by the National Heart, Lung and Blood Institute found there would be 47 extra heart-related deaths per one million course of treatment with five days of Zithromax, as compared to 10 days of amoxicillin and other antibiotics. The risks of cardiovascular death associated with levofloxacin (Levaquin) treatment were similar to those associated with azithromycin treatment, according to the FDA. “People need to recognize that the overall risk is low,” Dr. Harlan Krumholz, a Yale University health outcomes specialist who was not involved in the study, told the Associated Press last May. He added more research was needed but patients with heart disease “should probably be steered away” from Zithromax for now. The FDA also issued a statement last May following the study saying the agency was aware of the findings, and it would review the results and communicate any new information. Sales of Zithromax, one of the U.S.’ top-selling antibiotics, totaled $464 million in 2011 according to health care information company IMS Health, the AP reported. From FB: Court Corruption Joke of the day: what do you call supervised visitation? Far too many parents, children and other relatives are told that in order to see their own children, their own parents, their own grandparents, they have to pay a court ordered supervisor from $50 to $150 per hour. Many people cannot afford that. And it’s illegal under the 4th amendment (unlawful govt seizure) and 14th amendments (equal protection). In the case of children, it’s a Constitutional Right under the right of privacy. This is one system that has to end.